What is postmodernism? Is it a problem? The following continues a series of posts explaining postmodernism. It is based on the excellent Explaining Postmodernism: Skepticism and Socialism from Rousseau to Foucault, by Prof. Stephen Hicks. The French Revolution discussion relies primarily on Timothy Tackett’s outstanding book, The Coming of the Terror of the French Revolution, as well as Hilaire Belloc’s The French Revolution. Marxist postmodernism seeks to overthrow modern philosophy. Enlightenment modernism overthrew Medieval faith. Modernism supposed we could use reason (not faith) to know reality. Its progeny were individualism, science, liberal democracy, free markets, technology, and medicine. 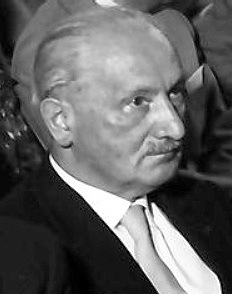 Postmodernism’s philosophical foundations were laid by German Counter-Enlightenment philosopher Martin Heidegger. In dark, mystical meditation, Heidegger conjured metaphysical nihilism from the spirits of earlier Counter-Enlightenment thinkers (Hegel, Schopenhauer, Kierkegaard, Kant). His philosophy embraced Nothing, opposed Western reality, reason, and logic; focused on contradiction and conflict; and dwelt in dark shadows of emotion. Counter-Enlightenment thinker Jean-Jacques Rousseau explains Postmodernism’s radical leftist politics. Heidegger’s subjective philosophy poorly explains postmodernism’s political leftism. Marxism’s twentieth century crisis of faith offers a better explanation. Rousseau offered postmodernists a political philosophy that features socialism, totalitarianism, and unthinking religious fervor. Rousseau’s Counter-Enlightenment was the polar opposite of Enlightenment thinking and values. Enlightenment’s virtues were Rousseau’s vices: reason, individualism, economic liberalism, liberal democracy, science, technology, medicine. Rousseau’s writings were the scripture of the French Revolution and Reign of Terror. The French Revolution set the terrible pattern of future leftist revolutions. France’s Old Regime faced a fiscal crisis. French finances suffered after years of European warfare. These problems only worsened following French assistance to the American Revolution and subsequent warfare with the British. France’s tax system was archaic and inefficient. The government was burying itself, ever deeper, in high interest debt. King Louis XVI struggled to address the fiscal crisis. The Nobles were aghast to learn of France’s dire finances, but resisted Louis’ tax reform proposals. With the coffers empty, a desperate Louis XVI convened the Estates General. The Estates General was a traditionally powerless assembly that the king could call, at will. Its deputies represented the three estates: nobility, clergy, and commoners. Louis hoped the Estates General could approve the necessary fiscal reforms. The 1789 convening of the Estates General started a cycle of radicalization and revolution. The commoners became politicized. They became radicalized. They demanded popular sovereignty. They replaced autocratic monarchy with a short-lived constitutional monarchy. The convening of the Estates General politicized the commoners. The commoners selected their deputies in rounds of local and regional elections. Future revolutionaries, self-styled “patriots”, and others flooded the nation with political pamphlets. Commoners debated political and social reforms. They organized local assemblies to draw up statements of grievances. When the estates convened in General Assembly, in May 1789, the commoner deputies became more radicalized. The nobility were arrogant and contemptuous. Boisterous Paris crowds urged the commoner deputies on. Many deputies were gifted orators. Their rhetoric grew ever more radical. The nobility refused to budge. In June 1789, the commoners demanded popular sovereignty. Forced onward by popular pressure, the commoner deputies declared themselves a sovereign “National Assembly”. They declared all taxes illegal. They swore oaths to faithfully represent the nation. A majority of commoner parish clergy joined them. King Louis XVI reluctantly addressed the General Assembly, at the urging of irrate nobility. He rejected the commoners authority and threatened to dismiss them. Locked out of their meeting room, the National Assembly convened at a nearby tennis court. They swore an oath, rejecting Louis’ commands, voting themselves parliamentary immunity, and vowing to draft a constitution. Cheered on by the crowds, they threatened death against anyone trying to arrest them. As June 1789 drew to a close, many came to think the revolution over. Liberal nobles broke ranks to join the National Assembly’s commoners and clergy. Finally, the king ordered the remaining nobles and clergy to join. Crowds cheered the revolution, as the National Assembly turned to drafting a constitution. The bloodless revolution would soon turn bloody. Rousseau’s Social Contract dominated revolutionary thinking – popular sovereignty and equality. The Enlightenment offered competing ideas – individualism and liberty. However, radical leftist mobs would soon overwhelm liberalism, conservatism, and religion. Passion (fear, anger, hatred, and vengeance) would overwhelm reason.